Under the Policy; “Vegetation Management on City Property” a vegetation management request form is required in order to request consideration of approval of any vegetation management work to be performed on public (City) property. 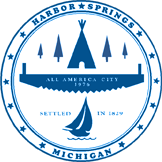 Please contact the City Manager by phone (231) 526-2104 or e-mail citymanager@cityofharborsprings.com for additional information. All property owners and/or contractors are advised that any unauthorized practice of vegetation management on City property is a criminal trespass.